Allen, Robert S.. "Upper Fort Garry". The Canadian Encyclopedia, 26 January 2017, Historica Canada. 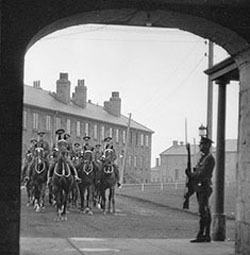 https://www.thecanadianencyclopedia.ca/en/article/upper-fort-garry. Accessed 20 April 2019. Upper Fort Garry, situated at the forks of the Red and Assiniboine rivers in the heart of the Red River Colony, was a Hudson's Bay Company post established in 1822. Previous fur-trade posts had been located periodically in the area. 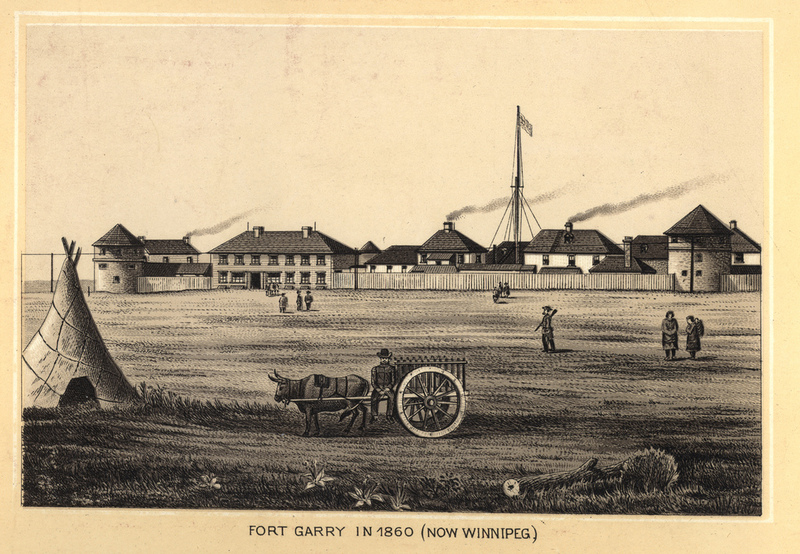 Fort Garry in 1860 (Now Winnipeg) [pictorial work]. Winnipeg, 1885. Upper Fort Garry, situated at the forks of the Red and Assiniboine rivers in the heart of the Red River Colony, was a Hudson's Bay Company post established in 1822. Previous fur trade posts had been located periodically in the area. Severe flood damage in 1826 prompted the construction of a new post, Lower Fort Garry, 32 km downriver. In 1836, however, in order to facilitate the general administrative and supply needs of the settlement, the HBC returned to the forks and built a new fort, Upper Fort Garry, near the old site. This fort was seized by Louis Riel during the Red River Rebellion of 1870. With the decline of the fur trade and the growth of Winnipeg, Fort Garry virtually disappeared.